Born in New York City, CYNTHIA OZICK is married to Bernard Hallote, a lawyer, and has one daughter, Rachel. Some of the prizes and awards she has received include: National Endowment for the Arts Fellow (1968); Edward Lewis Wallant Award for Fiction (1972); nominee National Book Award (1972); nominee National Book Critics Circle Award (1982,1983); chosen for inclusion in Best American Short Stories (Houghton Mifflin) (1970, 1976, 1982, 1984); First Prize, Doubleday’s Prize Stories: The O’Henry Awards (1975, 1981, 1984); Guggenheim Fellow (1982); American Academy and Institute of Arts and Letters; Strauss Living Award (1983); Distinguished Service in Jewish Letters Award; Jewish Theological Seminary (1984); Distinguished Alumnus Award, New York University (1984); nominee Pen/Faulkner Award (1984). She has honorary degrees from Yeshiva University (1984), Hebrew Union College (1984) and delivered the Phi Beta Kappa oration at Harvard (1985). She is a member of the Phi Beta Kappa, PEN and the Author’s League. The Rea Award has been established explicitly to honor writers who have made significant contributions to the short story; and implicitly, as a way of emphasizing the distinction of the genre in its own right, rather than as a lesser subdivision under the general heading of fiction. The first writer chosen to receive the Award is Cynthia Ozick, whose collections The Pagan Rabbi and Levitation, and her recent as yet uncollected stories, superbly exemplify those qualities the Award celebrates. 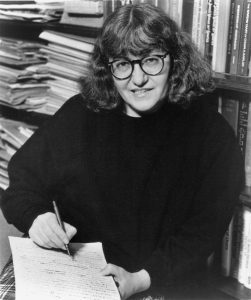 “A writer of great intelligence, moral energy, imaginative power, Cynthia Ozick has appreciably widened the range of what the short story is able to be. We can see this best in her now classic story, “The Shawl,” where she has taken upon herself the burden of a story whose source is in the Holocaust. Of that terrible, never-to-be-forgotten evil so much personal and historical evidence has been gathered, written, recorded, transcribed and photographed that a story, a mere story, might seem to count for little measured against so monumental an assemblage. But truth-telling and story-telling are now irreconcilable: in “The Shawl” they are inseparably fused. An inspired writer has conveyed to us in a few pages a moment of life and death, fragments seized from an unspeakable human tragedy and translated into an image that cannot be obliterated. Reading “The Shawl” we are moved past the truth of fact to a deeper, different understanding; we bear witness to the truth of art. Only rarely does this happen, and when it does, it must be celebrated. It is an honor to honor Cynthia Ozick.